Hoover became director of a minor federal law enforcement agency, the Bureau of Investigation, in 1924 and transformed it into the powerful Federal Bureau of Investigation, one of the most respected investigative and law-enforcement agencies in the world. 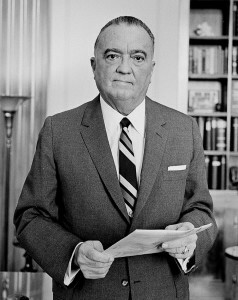 He directed the bureau until his death in 1972, a tenure filled with controversy, as Hoover compiled secret dossiers on hundreds of thousands of Americans, including government officials and other high-profile figures. His power in government was unprecedented for a non-elected official, and his intentions were often shadowy and sometimes suspect.